Can you imagine the momentous day? You know, when you walk across that dais, shake Dumbledore's hand, and receive your diploma from Hogwarts? The Fat Friar will be watched over you with a smile and a nod, while Professor McConagall boasts about how you were the best transfiguration student that she's ever had. Maybe Hagrid will even give out a hearty cheer! Of course, it takes a lot of work to graduate from Hogwarts. You need to study magic for 7 longs years. You need to learn how to defend yourself from the dark arts. You might even have to help Harry Potter defeat an evil wizard during your time there. Well, you'd better get used to wearing a wizard robe, since you'll be wearing one for quite a while before you can call yourself a full-fledged wizard! 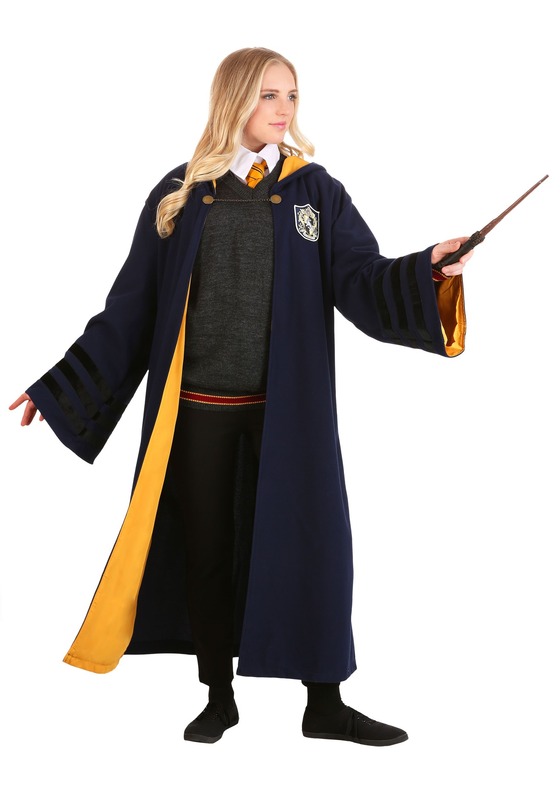 This Vintage Harry Potter Hufflepuff Robe is an officially licensed outfit from the movies. 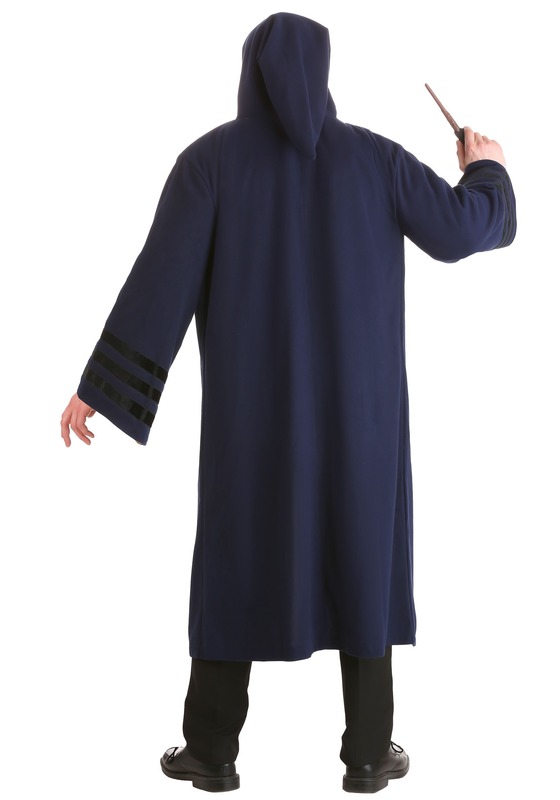 The robe has an astoundingly realistic look and is made from a faux wool, worsted fabric. It fastens in front with a metal chain and clasp. 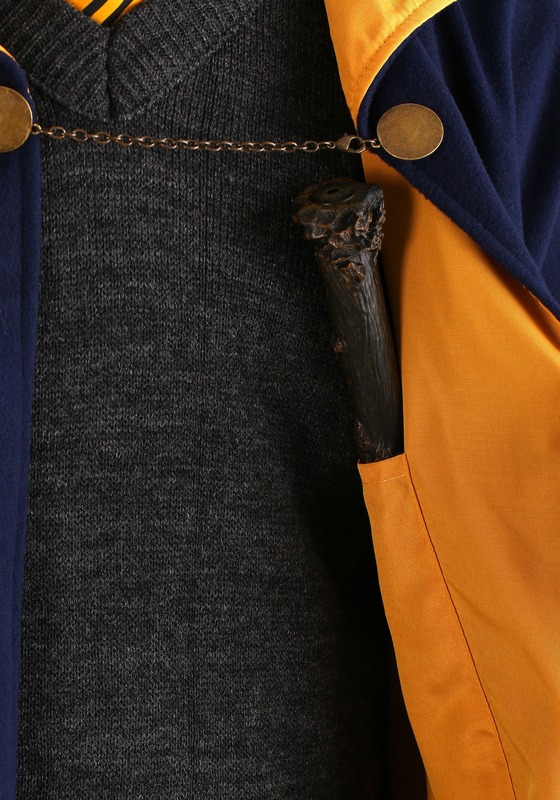 It has the Hufflepuff emblem on the chest and it even has a 10" pocket for holding a wand. It has flared sleeves and appliqued velvet strips for added realism. 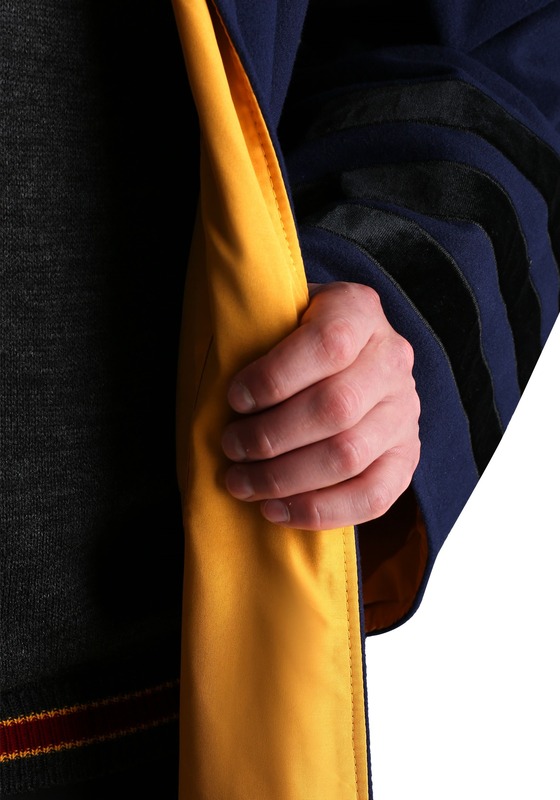 Of course, no wizard robe is complete without a robe and this one comes with a fully lined one that has the golden Hufflepuff House color. 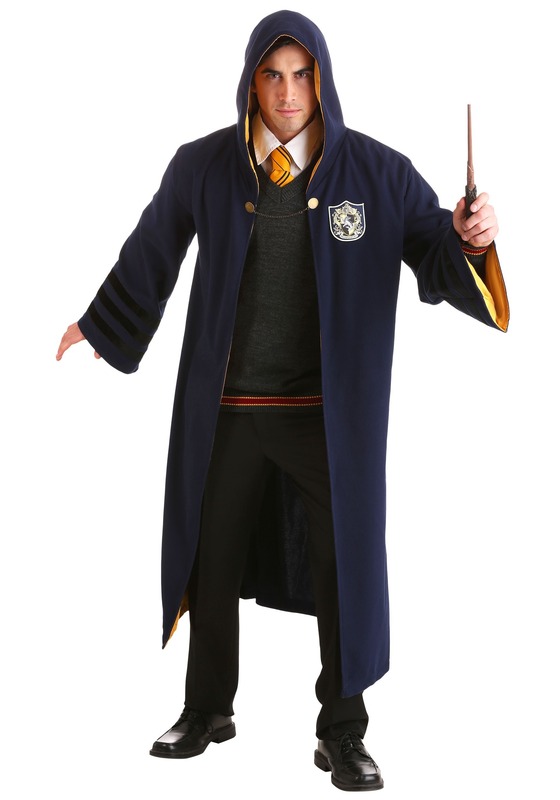 Just toss it on and you'll be ready to begin your schooling at the famous wizarding school. 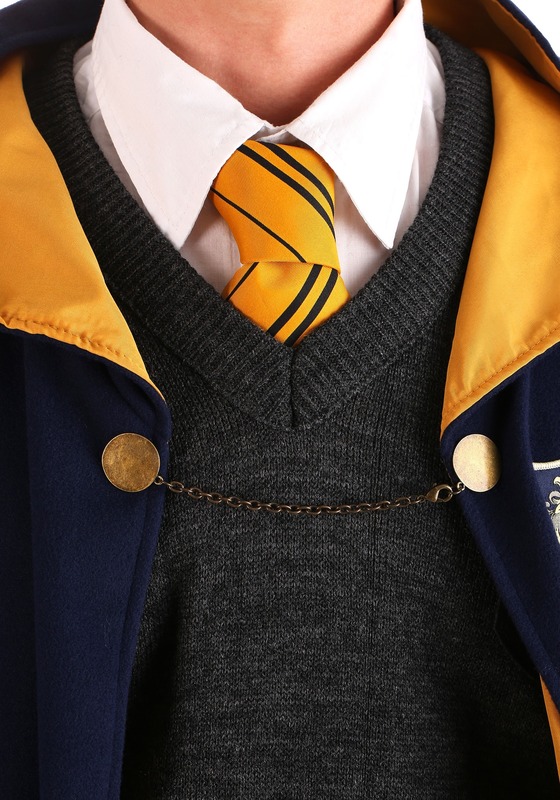 If you're ready to realize your dream of graduating from Hogwarts, then it's time to get the right uniform for it! 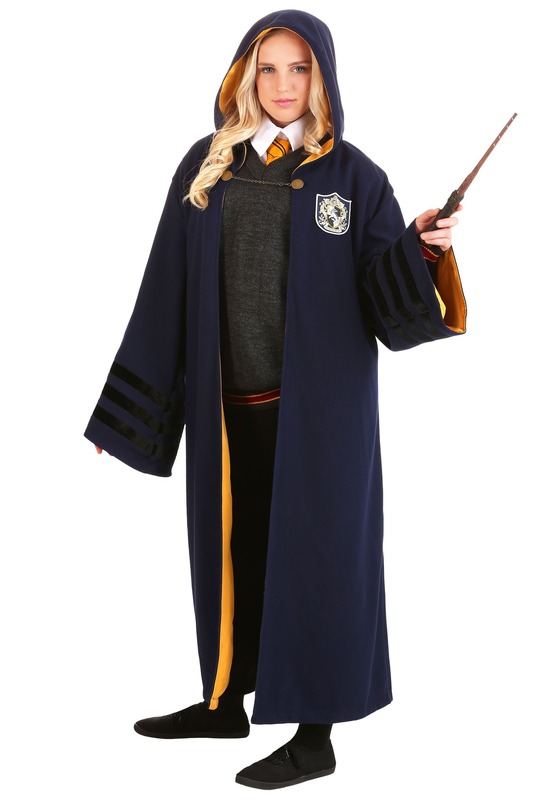 With this officially licensed Harry Potter robe, it's easy to go from muggle to magic user in just a few minutes!